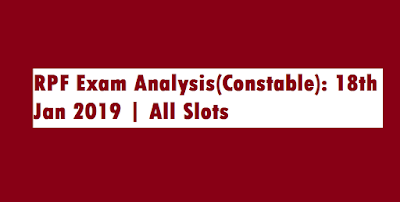 Railway RPF Constable 2018-2019 Online Exam is schedule today on 18th January 2019 across India. 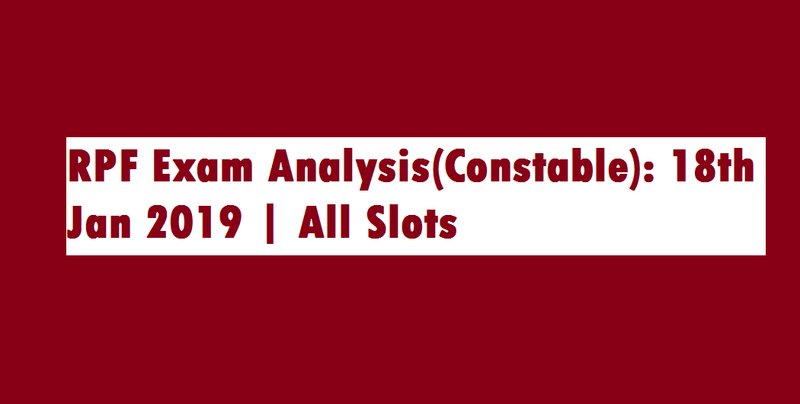 We will share Exam Analysis, Review, Question Paper and Answer Key of all shifts of today's exam. First slot get over at 10.30am , 2nd slot at 2pm and 3rd slot slot 5pm.